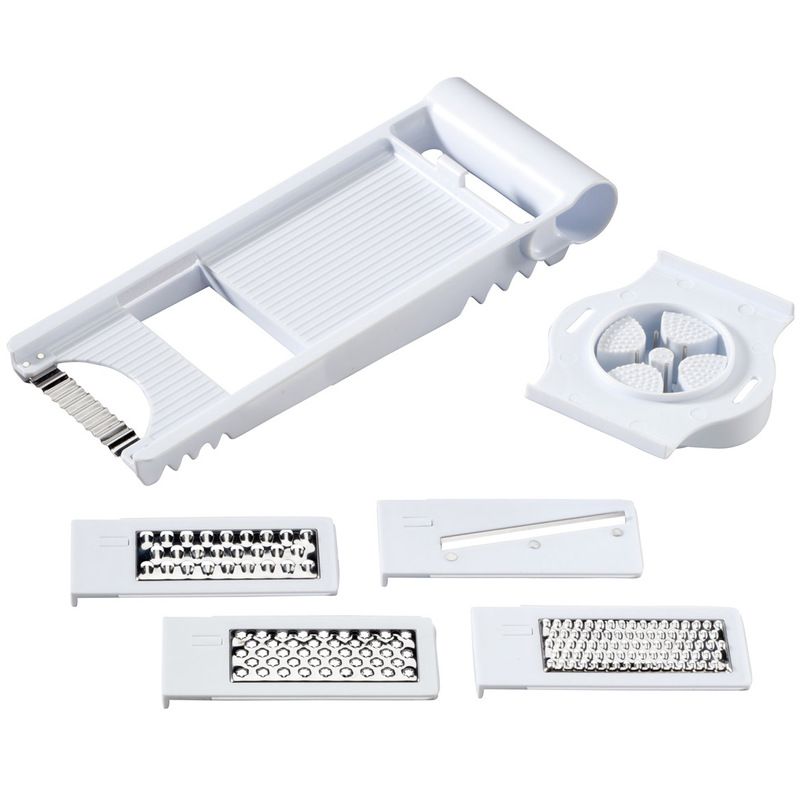 When it comes to slicing and grating this item makes the job much easier and faster. Very convenient storage idea with easy clean up. Love the safety when handling the food in slicing or grating. Save me alot when cooking I call my new best friend I kitchen if easily a I live and kuds c as n help. 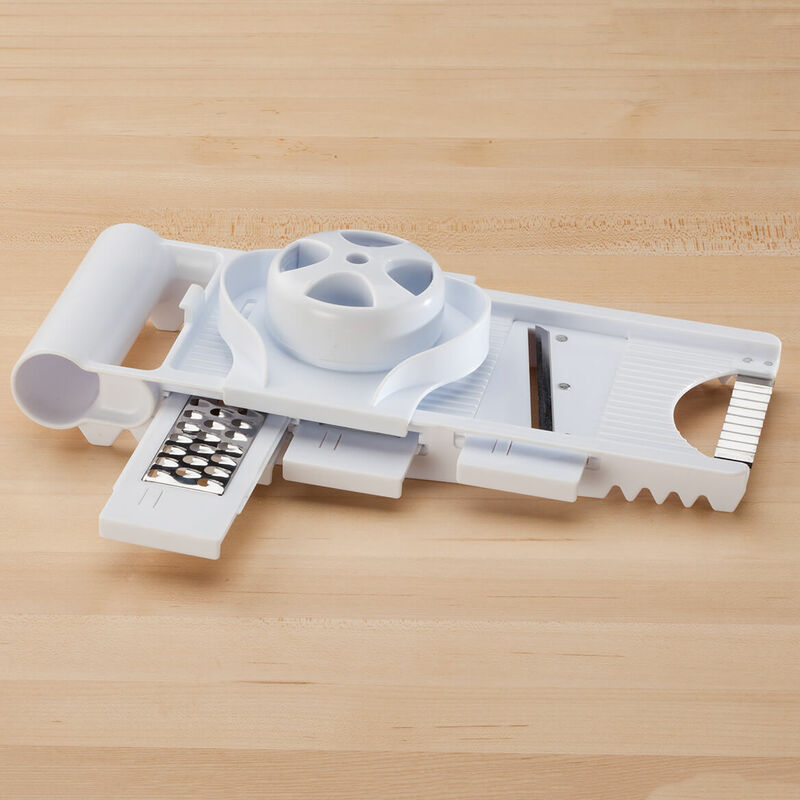 Love this kitchen gadget! 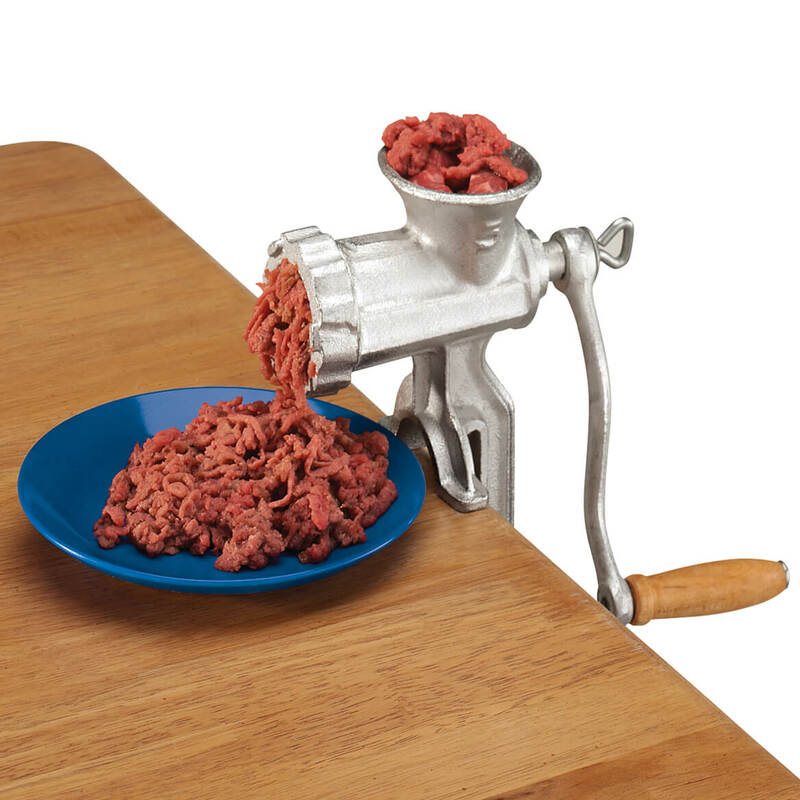 Easy to use and much faster than doing everything by hand. 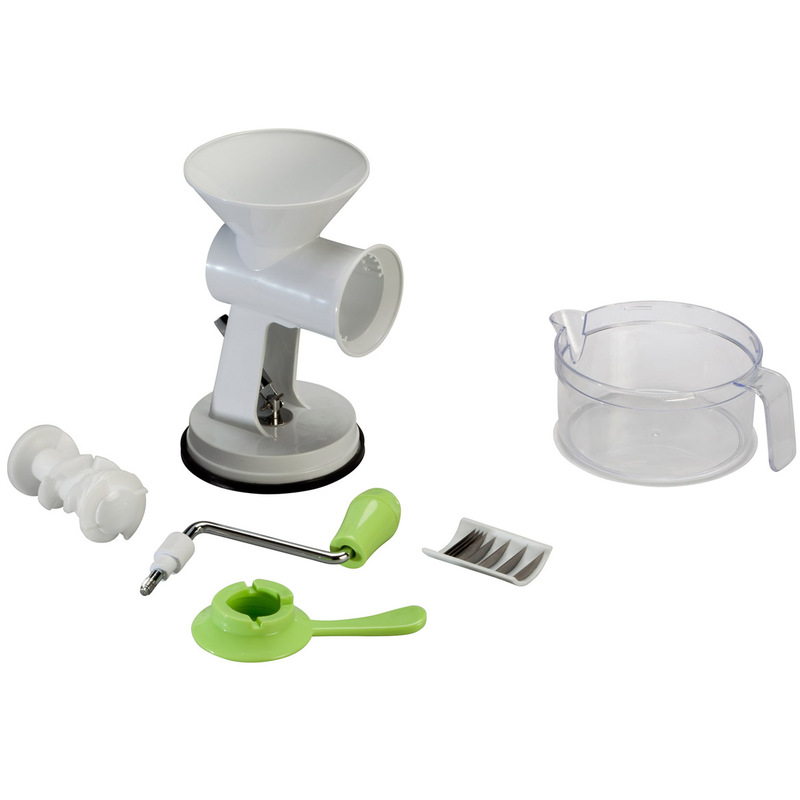 Included attachments for any kind of slicing and dicing you can imagine. cuts evenly, very sharp, slicing veg with this product is great. I really do like this gadget. Originally bought it until I could replace it with the expensive Mandolin; however, I've liked it so much, I never bought the Mandolin. There is a word of warning: just like the Mandolin, ALWAYS use the guard. The cut is quick & happens before the brain registers the injury. Just what a new cook needs. I bought this for my granddaughter who cooks very healthy using vegetables for so many dishes. She loved it but when she had a little trouble using the guard, she held her zuchinni and ended up going to the ER. She need five stitches in her thumb. She says she will be more careful next time. Just a warning to others to always use the slicing guard. I like the larger holder. It fits my hand better and I feel safer using it. I wish that it didn't have to lie across the bowl and perhaps had legs at one end so one could use it either across the bowl or free-standing at an angle, which is easier for doing raw veggies. I make my own salads and this is so handy, slicing lettuce, carrots, onions, peppers, and the other veggies I put into my salads. Product does not lock properly so slips when using it. Made of plastic, very cheesy. Holding pegs came out in my potato. Sent it back. I used this product and, I was very disappointed with this product. I was going it back instead I threw away. Does not cut,shred or dice very well. Very awkward to use. Product is to flimsy can not handle softer fruits and vegies. I am very disapointed. help my daughter with MS be more independent when cooking. Lost the pieces to my old Mandolin. I do a lot of chopping and I thought this would help with that. To slice really THIN potatoes and other versatile uses too. VERY HELPFUL AND A GOOD PRICE. 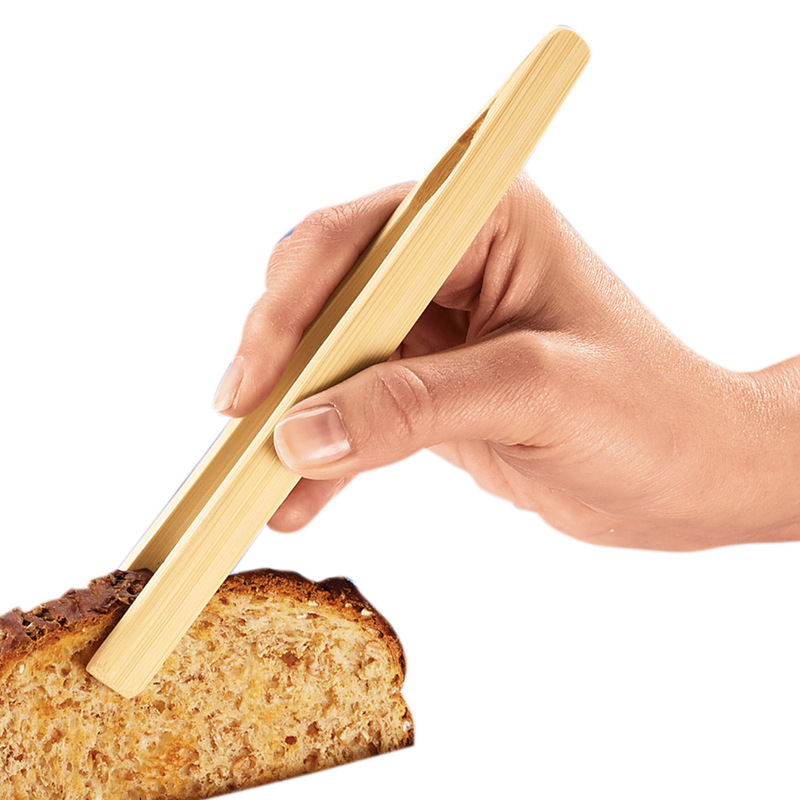 I've seen this item up close and liked the way it works and the speed in slicing. It makes preparation for cooking so much faster! I make scalloped potatoes and ham several times a year for my whole family. They seem to like the way I make it so I'm making a very large amount. Slicing all those potatoes my hands and fingers start to cramp. So I told my husband I was getting a slicer finally after 36yrs. This one just looks like it will do the job easy and faster then I was by hand. Plus it does a whole lot more. Mother in law said she loves hers. Need & cost! This applies to all the products I've ordered listed below. In order to help in the preparation of salads and ingredients for cooking as well as slicing veggies for fermentation. Looked to be a very handy kitchen appliance / tool. Can't wait to try it out ! I've been drying fruits and veggies to dehydrate. This will help in the preparation. I want to get a food dehydrator and I need very evenly sliced vegatables. 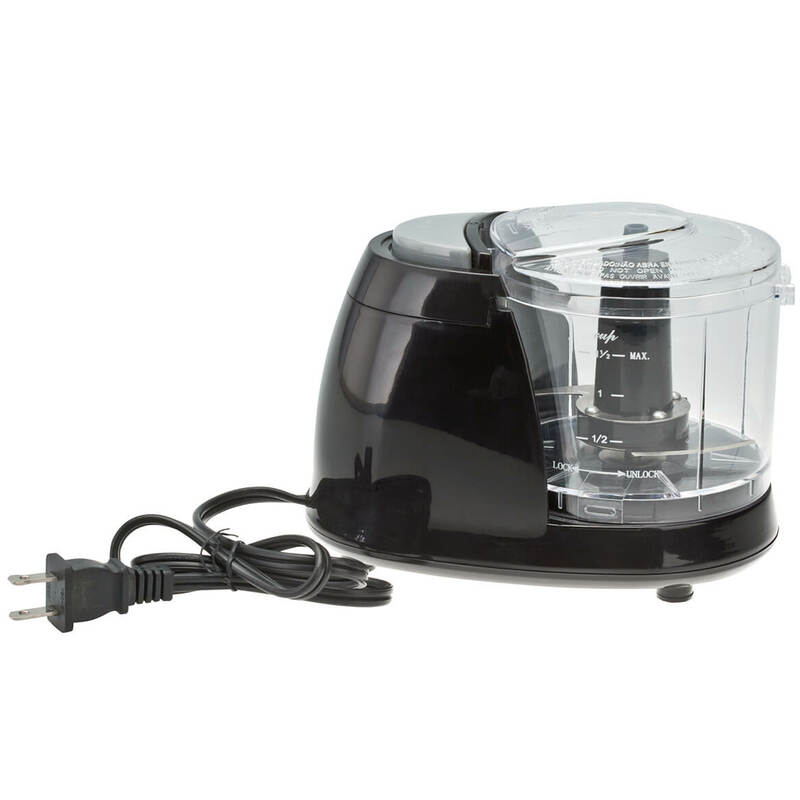 For more convenient and easier slicing or grating of vegetables. I like the fact that it is all in one piece. I needed something to slice onions. Works very well. Daughter does a lot of chopping and dicing. Will this slicer cut julienne cut? BEST ANSWER: Thank you for your question. this will not julienne cut. We hope this information will be of help to you. 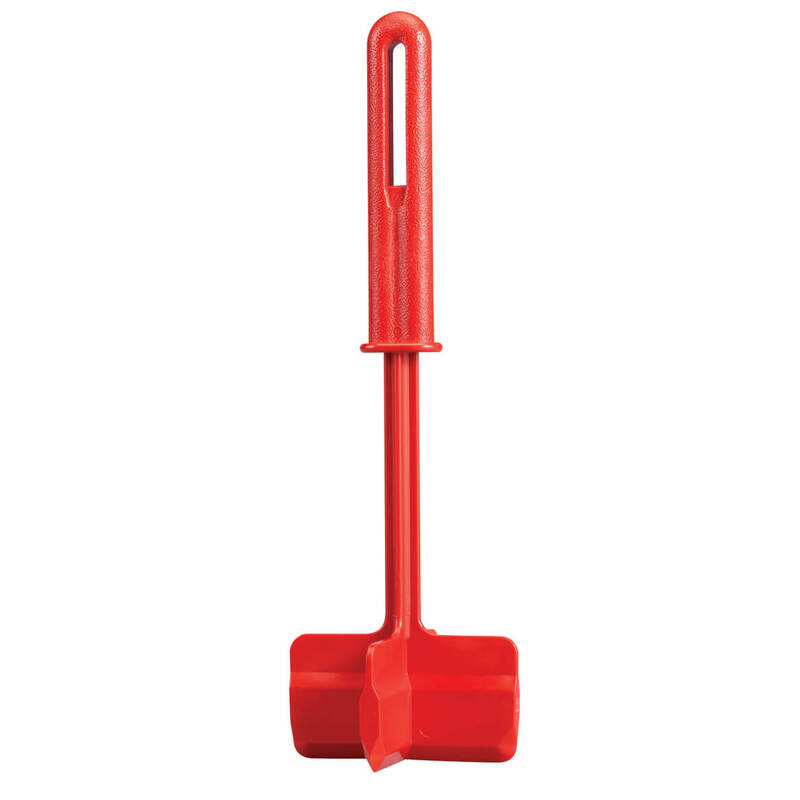 Can you slice potatoes for frying with this? BEST ANSWER: You can slice very thin potatoes (like a potato chip) but you cannot make French fries like we buy at McDonalds, for instance. You can also make grated potatoes/hash browns. Mostly I use this for shredding cheese and it is a great addition to my kitchen for that purpose. I use it all the time for potatoes,onions, cucumbers and cheese. 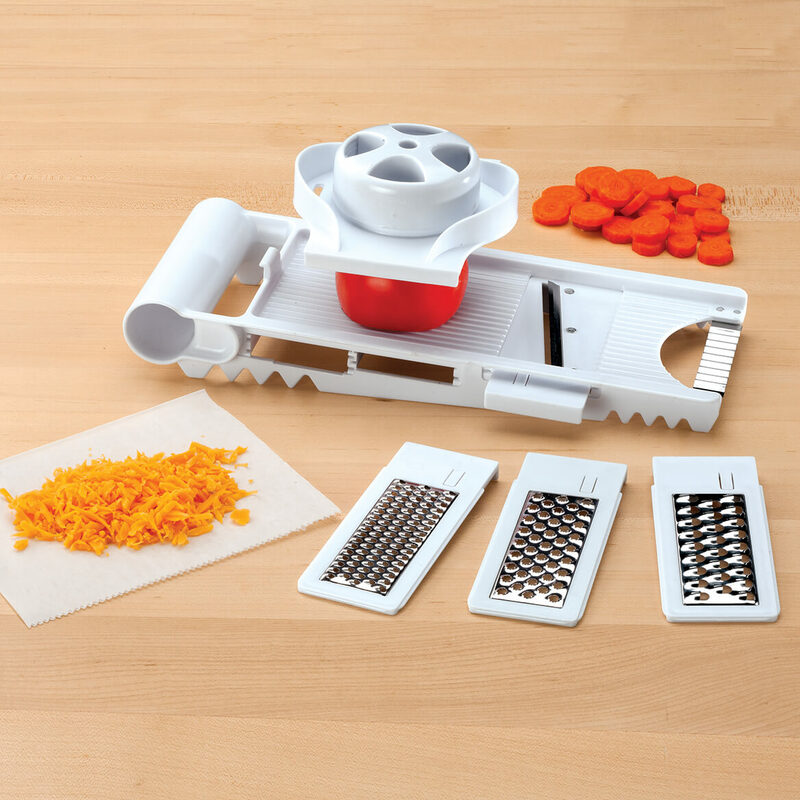 It works very well for slicing or grating. Will this slide tomatoes without making them mushy?